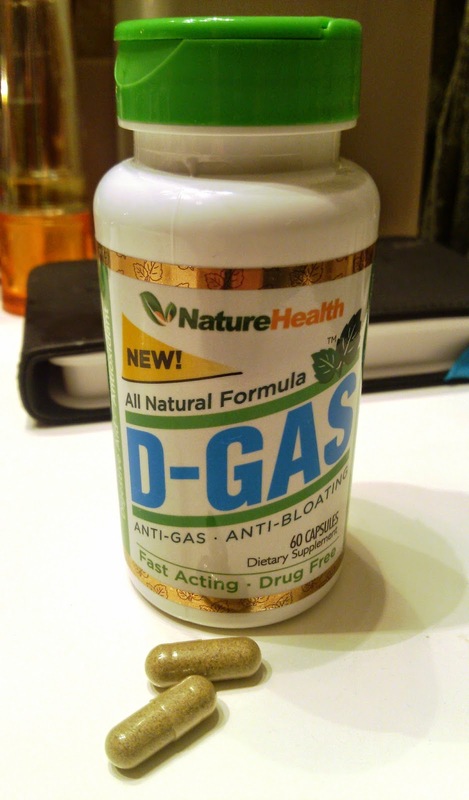 D-Gas is an all natural anti-gas aid that relieves bloating, discomfort, and gas. It can be taken with meals to prevent bloating before it begins, or it can be taken whenever you feel discomfort. It can also be taken daily as a natural digestive aid and antioxidant. This formula is drug-free and made of natural gas-relieving ingredients: Cardamon, Coriander, Cumin, Dill Seed, Fennel, Ginger Root, Papaya Enzyme, and Peppermint Leaf. There are no fillers, flavors, sugar, salt, lactose or gluten. I've been taking D-Gas whenever I feel bloating and the digestive upset of Irritable Bowel Syndrome, which occurs regularly for me. D-Gas has been really helpful in relieving the pain and discomfort, which lets me go about my daily activities without interruption. I take this often after big meals or before going out with friends since that's usually when these issues are the most bothersome for me. D-Gas is an effective natural anti-gas alternative and doesn't have any negative side effects in my experience.